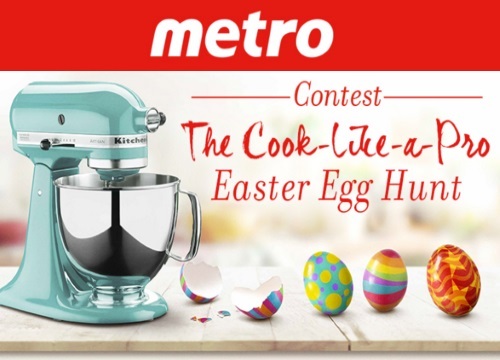 Metro has an Easter contest on now! Join the Easter Egg Hunt for a chance to win 1 of 5 prizes to help you cook like a pro, including a KitchenAid Artisan Series Stand Mixer and $400 of Free groceries! Find the Egg eggs hidden on the Metro website, enter the egg code in the from linked below for your chance to win. Contest is open to residents of Ontario only. Contest closes March 30, 2016 at 11:59pm ET.